( ~ Ed. Please don’t shoot the messenger, there is NO evidence that Jesus existed from historians of his time. FACT! The gospels were written 70-90 years AFTER his death story, which means since there were no written records, Matthew, Mark, Luke & John’s writings were downloaded clairvoyantly, which means in other times they would have been considered witches and warlocks. Since its inception Christianity never claimed to be historical, biographical, or even original. There were dozens of historians who lived in the Mediterranean throughout the supposed life of Jesus, Mary and Joseph: Aulus Perseus, Columella, Justus of Tiberius, Livy, Lucarus, Luctus Florus, Petronius, Phaedrus, Philo Judaeus, Phlegon, Plutarch, Pomponius Mela, Rufus Curtius, Quintillan, Quintus Curtius, Seneca, Silus Italicus, Theon of Smyrna, Valerius Flaccus, Valerius Maximus – None of them so much as mentioned Jesus, his family or his followers. Wouldn’t you think someone who was immaculately conceived, who performed miracles, was revered by thousands and hated by thousands more, someone who was crucified for all our sins then resurrected from death, wouldn’t he be mentioned at least once outside the bible? Justin Martyr (100–165AD) was the first and most distinguished Roman Catholic “apologist” of Christianity. The doctrines of the new religion were so disliked and resisted at its conception, apologists tried to smooth the waves. In “The First Apology of Justin,” he argues that Christianity should be accepted because it is already so similar to existing religions. Entire volumes have been written by Christians comparing Christianity with other Pagan religions. Here Justin Martyr admits the metaphorical (not literal) story of Jesus Christ is precisely analogous to pre-existing beliefs regarding Jupiter. Through the course of the book, Justin Martyr admits that Jesus is analogous to the sons of Jupiter, Mercury, Aesculapius, Bacchus, Hercules, Dioscuri, Perseus, and Bellerophon. He admits their immaculate conceptions, miracles, untimely deaths, and ascents into heaven as symbolically purporting the same thing. He also admits Christianity teaches the same things as poets and philosophers citing Plato, Menander, Sibyl, Hystaspes, and Stoics. Since its inception Christianity never claimed to be historical, biographical, or even original. Characters are often interchangeable within the Bible itself. Joseph in the Old Testament is analogous to Jesus in the New Testament. Joseph was born of a miracle birth, had 12 brothers, one of whom, Judah, suggests the sale of Joseph for 20 gold pieces. Jesus was born of a miracle birth, had 12 disciples, one of whom, Judas, who suggests the sale of Jesus for 30 gold pieces. They both began their work at 30. Are we to believe these are literal people living remarkable, coincidental, analogous existences? Or are they personifications, symbols, metaphors representing the ancients’ wealth of astrological knowledge? The incarnate trinity of Osiris, Horus and Ra, are the Father, Son, and Holy Spirit of Christianity. The carnate trinity Seb, Isis-Meri, and Horus are analogous to Joseph, Mary, and Jesus. Isis and Mary were both virgin mothers commanded to take their sons to Egypt for safety. Seb and Joseph were both carpenters. Seb was the custodian of the mummified dead and Joseph of Arimathea was the keeper of the Corpus Christi. Horus was born in Annu, the place of bread; Jesus was born in Bethlehem, the house of bread. Horus is the gracious child, one of five brethren, brother of Set the betrayer; Jesus is the child full of grace, one of five brothers including Judas the betrayer. Anna came with S’men who held Horus in his arms; Anna the prophetess came with Simeon who held Jesus in his arms. Anup the baptizer was the precursor of Horus, John the Baptist was the forerunner of Jesus. Horus and Jesus were both baptized at age 30; both called the good Shepard, walked on water and cured the blind. Seven Hathors minister to Horus; seven women minister to Jesus. Horus ascends to heaven from Bakhu, the Mount of the olive tree; Jesus ascends to heaven from Mount Olivet. Horus was the word-made-flesh who giveth light by means of his own body and Jesus the word-made-flesh was the light of the world. Set and Horus were enemies like Satan and Jesus. Set and Horus contended in the desert on the Ben-Ben Pyramidion; Jesus and Satan contended in the wilderness on the pinnacle. Horus was carried off by Set to the summit of Mount Hetep and Jesus was spirited away by Satan into high mountains. Osiris, whom Horus loved, prays he may be buried speedily, sleeps in and is raised from the tomb in Annu; Lazarus, whom Jesus loved, begs his death be effected quickly, sleeps in and is raised from the tomb in Bethany. Then the mummy Osiris is bidden to come forth by Horus like the mummy Lazarus is bidden forth by Jesus. Petar or Petra was the Egyptian revealer to Horus; Peter was the revealer to Christ. There’s Hermes the scribe and Hermas the scribe, Mati, the registrar and Matthew, the clerk, Herrut the slayer of younglings and Herod the murderer of the innocents. Both religions symbolize the dove as the bird of the Holy Spirit. The Egyptian Mysteries are the miracles. The ritual book of resurrection is the book of Revelation. 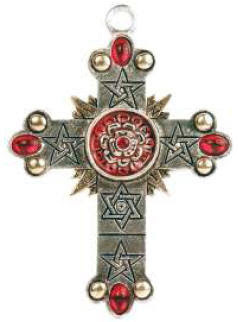 On and on it goes; the similarities between the Egyptian and Christian religions are endless: Baptism, afterlife, judgment, virgin birth, resurrection, crucifixion, ark of the covenant, circumcision, saviors, communion, flood, Easter, Christmas, Passover. Just show me the historical evidence from historians of his time of his living? A: There is no one. Then why are not the scores of other Gospels, not included in KJV, not discussed or revealed or disseminated by Christians today which state among other things, that we are all “Co-Creators’ with God, that we Reincarnate in lifetimes, we are not sinners and “imperfect” and that the Kingdom of God lives inside us all, if only we had the knowledge and awareness to fulfill our genuine authenticity to Self-realize…exactly what the Gnostics Gospels taught, who taught the Pagans? A: Because then Church and State power to Govern (rule) Ment (mind) control would no be necessary. If facts are difficult for the “unquestioning believer” when new evidence is presented, there only recourse and that is to attack the presenter (messenger), because they cannot argue on facts or vetted his-stoy data while the female Mother Gaia, Mary, Magdalene, Sophia, etc. are demoted to second status to the male hierarchy when the women is the only “creator being” of human form. Hmm, why is that? http://www.bethinking.org/jesus/ancient-evidence-for-jesus-from-non-christian-sources http://www.prevailmagazine.org/how-archaeology-proves-the-bible/ And then look at the fact that many Bible prophecies have been fulfilled. Do you note the dates in your links??. AD 55, AD 114, etc. Where is the evidence, like we have of the pyramids some 5,000 – 10,000 years of physical documentation and recordings like we do of the Sumerians, Babylonians, Egyptians, Ancient Greeks, Romans, etc.. All AD! Come on, show me the real evidence of him alive, not heresy, or hear-you-say. Who was there with him and yet did not record anything from all his “followers” at the time of his life? Where were the scribes of the times? They certainly knew how to engrave historical narrative in stone, yet did not record anything? From the Buddha, we have scrolls and Tanka’s, from Confuscious we have recordings, yet none of, or from Jesus? just asking. So When Jesus began his alleged ministry, what was his first act as a fully realized human at age 30? This post is so laughably filled with mistakes that it is hard not to burst out laughing! You cite a quote from David Icke, whom is not a historian (because 99% of historians already understand it is a fact that Jesus lived, this is not debated by historians – fact), rather a writer. Not only is he a writer, but he’s also made a name for himself as a conspiracy theorist, as someone who claimed in the 1990’s to be receiving messages from the spirit world and later within the next year claimed to be the Son of the Godhead. LOL. You go on to mention several historians of Jesus time who never mentioned him! Wow! Apart from the fact that not a single one of them was a historian of Jesus’ time, excluding Philo of Alexandria (Phlegon lived in the 2nd century, Tiberius was an emperor, not a historian, Theon of Smyrna was a philosopher, not a historian, whom was born in 70 AD, Silus Italicus was a poet born after Jesus died, etc, etc, etc), it does not excuse the fact that this is an Argument from Silence – type of logical fallacy. Jesus is also not interchangeable with Joseph. Joseph born of a miracle birth? LOL. So miraculous! She conceived a child like any other women! God, multiple times in the Old Testament, allows infertile women to give birth, I can cite numerous examples. On the other hand, Jesus was born of a virgin, not synonymous with any other birth in the Bible as far as I am concerned. This is just pure stupidity. 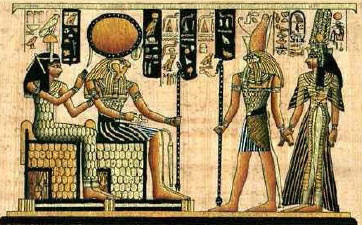 Osiris was just Horus’s dad, and Ra was not related to Osiris at all, he just merged with Horus to become the Sun God. This stuff is actually ridiculous. This is beyond ridiculous to even claim. I think you have already done enough to shoot down your own credibility. There is too much to utterly debunk here. glad you got it all figured out when even the wisest of all of us is only using 15% of our brains capacity! Keep laughing but don’t read “The 16 Saviors before Jesus” or any pagan history or the Nag Hammadi Library, or the Dead Sea Scrolls, or the Lost 20 bibles, that has been is suppressed and repressed over Roman CAtholic HIS-STory.